Are you trying to lose weight but you are sick and tired of different diets? If the answer is yes, this is the perfect article for you. Here are the best high-protein vegetables that do not take a long time to cook but provide impressive results. Spinach is widely known as ‘superfood’ because of the abundance of protein. It is rich in important minerals, vitamins, and antioxidants which promote weight loss. You can easily combine spinach with olive oil and other vegetables or just add some spinach leaves to your soup. Peas are a powerful source of protein. 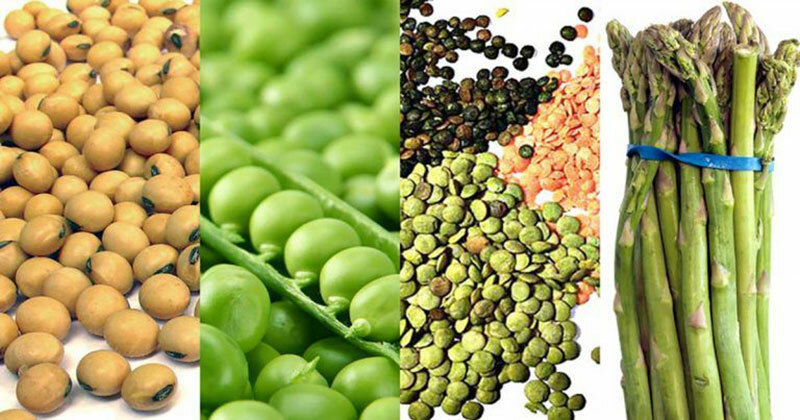 Another advantage of peas is that they can be eaten fresh, boiled, frozen, fried, etc. Also, they are one of the richest vegetables in protein. So, feel free to add plenty of them to your everyday diet. Broccoli is loaded with protein, antioxidants, fiber and minerals. So, just get the most benefits out of this potent vegetable. When used in salads, soups, broccoli can be a healthy option for your dinner. Kale is just another protein-rich vegetable which offers a lot of nutrition. One of the best things about kale is that you can eat it fresh in salads, boiled in soups, topped on casserole or blended into smoothies. Not only mushrooms are protein-rich foods but they can significantly boost your immune system. Just add them to your soup or grill them with other vegetables. Sprouts are high in protein and they can keep you satiated for longer. Because of this characteristic, they are perfect for some small hunger prangs in the evening. Along the abundance in protein, artichokes will add beauty to your dishes. You get the most out artichokes in steamed, blended or roasted form. These cruciferous vegetables are packed with high amounts of fiber and protein, the crucial nutrients for weight loss. All you need to do is roast the brussel sprouts them, add some olive oil and salt and the super delicious meal is ready. Along the high amount of protein, corns are high in fiber. You can enjoy them fresh from the cob or prepare some delicious salad, soup and many other meals. Asparagus is rich in protein and a potent detox vegetable. Along with protein, it is high in fiber, a highly important nutrient for the overall health of your metabolism. Another benefit of this vegetable is that it takes no more than 5 minutes to cook. So, losing weight does not need to be a hard job. Just enrich your diet with these high-protein vegetables and the extra pounds will be gone!